Netflix loves to hide its cool features. It took much longer than we care to admit for us to notice the presence of the secret codes that can unlock an untold number of secret genres 20 Secret Netflix Codes Guaranteed to Help You Find New Content 20 Secret Netflix Codes Guaranteed to Help You Find New Content Here’s our list of the 20 secret Netflix codes guaranteed to help you find new content. Read More . Now it turns out that Netflix also offers a way for you to recommend shows and movies that you want to see added to their video library. Surprised? We were too. Even more surprisingly, in a tweet, Netflix seemed to think we all knew about the feature already. Um, no Netflix, no we didn’t. So, how does this magical new discovery work? Let’s take a closer look. The process is simple, just head to help.netflix.com/en/titlerequest and fill in the titles of your three recommendations. When you’re happy with your entries, complete the Captcha and click on Submit Suggestion. There is no limit on the number of times you can use the service, though Netflix does explicitly say that submitting the same request more than once won’t increase the likelihood of your show being selected. Once you’ve made your submission, Netflix will keep you updated on its progress via email. It will also use your suggestions to make recommendations about other shows you might like. Unfortunately, there are no guarantees that Netflix will take you up on your recommendations. 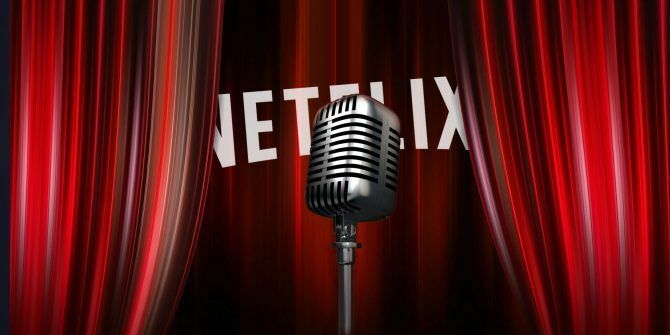 Some content rights are exclusively linked to certain distributors, some streaming rights aren’t for sale, and some shows you might recommend simply don’t have enough demand among Netflix’s userbase. Of course, there’s more than enough content already on Netflix to keep you going for a while. If you’re stuck for something to watch, check out our list of modern sci-fi movies 10 of the Best Modern Sci-Fi Movies on Netflix 10 of the Best Modern Sci-Fi Movies on Netflix Science fiction is a tricky genre to get right, which means there are plenty of terrible sci-fi flicks to avoid. But Netflix has a bunch of excellent ones that you can't miss. Read More , scary movies The 11 Best Scary Movies on Netflix Full of Frights The 11 Best Scary Movies on Netflix Full of Frights Not Halloween yet? Not a problem. The best scary movies on Netflix can be enjoyed at any time of the year. Read More , BBC documentaries The 7 Best BBC Documentaries You Should Watch on Netflix The 7 Best BBC Documentaries You Should Watch on Netflix There is more to Netflix than movies, TV series, and the company's own original shows. Here are the most engrossing BBC documentaries available to watch. Read More , and war films After Dunkirk: 12 World War II Movies to Watch on Netflix After Dunkirk: 12 World War II Movies to Watch on Netflix If Dunkirk has sparked your interest in World War II movies, check out these 12 other flicks dealing with the conflict. They're all currently available on Netflix USA... Read More .